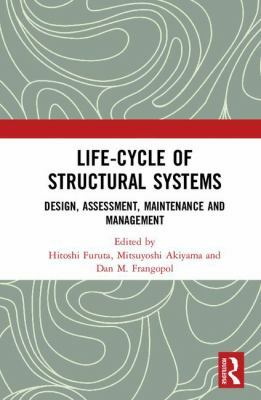 Life-cycle of structural systems: design, assessment, maintenance and management Hitoshi Furuta and Mitsuyoshi Akiyama 1. Non-prescriptive approaches to enhanced life cycle seismic performance of buildings Mark P. Sarkisian 2. A life-cycle framework for integrating green building and hazard-resistant design: examining the seismic impacts of buildings with green roofs Sarah J. Welsh-Huggins and Abbie B. Liel 3. Practical application of life-cycle management system for shore protection facilities Hiroshi Yokota 4. Framework for maintenance management of shield tunnel using structural performance and life cycle cost as indicators Jianhong Wang, Atsushi Koizumi and Hiroshi Tanaka 5. Simplified structural deterioration model for reinforced concrete bridge piers under cyclic loading Anirudh S. Rao, Michael D. Lepech, Anne S. Kiremidjian and Xiao-Yan Sun 6. Development of time-dependent fragility functions for deteriorating reinforced concrete bridge piers Anirudh S. Rao, Michael D. Lepech and Anne Kiremidjian 7. Big data-based deterioration prediction models and infrastructure management: towards assetmetrics Kiyoshi Kobayashi and Kiyoyuki Kaito 8. Time-variant redundancy and failure times of deteriorating concrete structures considering multiple limit states Fabio Biondini and Dan M. Frangopol 9. 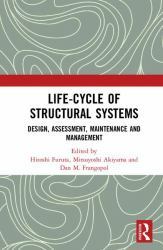 After-fracture redundancy analysis of an aged truss bridge in Japan Weiwei Lin, Heang Lam, Teruhiko Yoda, Haijie Ge, Ying Xu, Hideyuki Kasano, Kuniei Nogami and Jun Murakoshi 10. Experimental investigation of the spatial variability of the steel weight loss and corrosion cracking of reinforced concrete members: novel X-ray and digital image processing techniques Sopokhem Lim, Mitsuyoshi Akiyama, Dan M. Frangopol and Haitao Jiang 11. Modelling processes related to corrosion of reinforcement in concrete: coupled 3D finite element model Josko Ozbolt, Filip Orsanic and Gojko Balabanic 12. Efficient multi-objective optimisation of probabilistic service life management Sunyong Kim and Dan M. Frangopol 13. Probabilistic assessment of an interdependent healthcare-bridge network system under seismic hazard You Dong and Dan M. Frangopol 14. Reliability-based structural design framework against accidental loads - ship collision Hyun-Moo Koh, Jeong-Hyun Lim, Hyunjoong Kim, Jiwoon Yi, Wonsuk Park and Junho Song 15. Target reliability for existing structures considering economic and societal aspects Miroslav Sykora, Dimitris Diamantidis, Milan Holicky and Karel Jung 16. Vibration monitoring via spectro-temporal compressive sensing for wireless sensor networks Roman Klis and Eleni N. Chatzi.